As a member of the UCA you are eligible to discounted professional indemnity insurance through Balens at an affordable rate – keep your practice protected through access to the most comprehensive support network for chiropractic risk management and legal advice. Head Office is open Mon – Fri 9am – 5pm to offer advice and assistance with any query you may have (big or small). It is our objective to return your calls and emails as quickly and efficiently as possible. If you are unfortunate to have a formal complaint via the GCC or direct from a patient the UCA will help you with your response and guide you through the process. As a UCA member you are also given membership of the AUKC. The AUKC is an affiliation of the professional organisations dedicated to the protection, unity and strengthening of the Chiropractic profession in the UK. Emphasis is on education and political action to uphold and protect the rights of Chiropractors to serve their patients using an evidence-based patient centred approach. 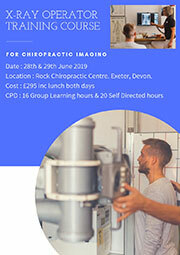 Support to new graduates who complete the PRTs with the College of Chiropractic, and the award of a Diploma in Chiropractic (DC) on completion of the programme. 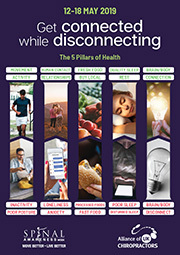 ‘Thirty Three’ is a premier chiropractic magazine published three times a year. Stay informed with news in the profession, happenings in the Association, search or past an advert in the classifieds, and adopt useful information from guest authors into your professional practice. The LiveWell programme and website has been designed for UCA members to promote and implement a full wellness programme and Chiropractic within their community. 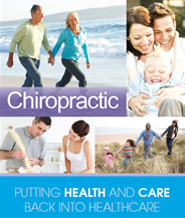 The theme is flexible, to enable chiropractors to integrate it into their marketing strategy. Regular, informative media statements promoting chiropractic, which members can use within their own local media network. Display the UCA members logo in your clinic and on all promotional materials to enhance your credibility and standing amongst patients and members of your community. Access to X-Ray guidelines and advice on quality control programs for Chiropractic x-ray systems. Discounted rates for members to advertise in the classified section of the UCA website and magazine, as well as discounted rates for UCA Block Scheme advertising in the Yellow pages and Thompson Local Directories. Bi-Weekly email updates, regular Information notes & bulletins sent to you with up to date advice notes, guidance and hints and tips on practice management. 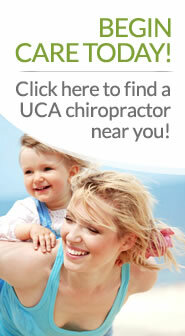 Patient friendly website with ‘Find a Chiro’ facility. Access through the members section to research and international health news. A manual of all the office form templates you will need and can personalise with your practice logo and address. 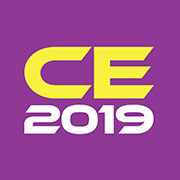 Up-to-date employment letters, and contract templates, prepared for us by employment law specialists, to be used for both Associates and Chiropractic Assistants, available to purchase at a greatly reduced price. Modern, attractive Christmas cards, birthday cards, children’s stickers and badges, books, T-Shirts and DVDs promoting chiropractic.